“My dog has fleas!” You might be the one screaming this if you just found out that your dog has a parasite. …when it comes to its health. 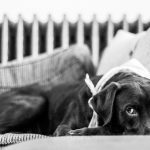 Either your dog has newly acquired that flea or your dog is the one who has become the breeding ground of this tiny creatures, it needs to be treated to prevent further infestation that would detriment to your dog’s health. With this, we need to know the best flea treatment for dogs. But before that, let us know more about these fleas or ticks. Ticks belong to the family of ectoparasites or external parasites which live off the blood of mammals, latching onto the body of a dog. They vary in sizes depending on how old they are and how recently they have fed. Their size could be from the size of a pinhead or up to the size of a fingernail. They appear to be oval or rounded in appearance and may differ in color, from a pale cream up to a fairly deep dark grey or brown, or even in between. How do ticks behave on dogs? These tiny wingless insect with a hard and laterally flat body are understandably unpleasant, both in appearance and in their behavior. When a tick has attached itself to your dog, you may not see their legs or probe which they use to pierce the skin with. These ticks or fleas hatch on to any area of your pet’s exposed skin. Generally, they go for the least hairy areas where there is a good blood supply right below the surface. …because these are the favorite spots for ticks to latch. These parasites are lively and eager in searching for a host. They can jump 10,000 times in a row. They have three pairs of legs which make for excellent leaping capabilities. …from 16 to 21 months depending on the environment. If your dog has been heavily infested, fleas can thrive anywhere in the body. They feed once every day or two and generally remain on their host during the interim. Left untreated, fleas can cause dog health problems like anemia or a significant amount of blood loss on your dog since these parasites can consume blood which is 15 times their own body weight. The ticks can cause an allergic reaction to your dog even with just one bite especially if your pet has a heightened sensitivity to the saliva of fleas. Your dog can develop flea allergy dermatitis which can cause intense itching and discomfort. This allergy may lead to skin infections. Dogs who live outdoors and those who live in warm, humid climates are the most vulnerable to ticks or fleas. Now let’s see how to get rid of fleas on dogs. Of course, you don’t want ticks or fleas to bother your pet, so here are the best ways to kill fleas on dogs. But first, it is more prudent to consult your veterinarian to confirm the diagnosis and discuss appropriate treatment options. One treatment option is the use of medicated flea removal. You may wash your dog with: 1) Flea and tick shampoo. There are special flea and tick shampoo. This is the fastest and the best way to get rid of the fleas on dogs immediately. Here I made a comparison of the best fleas shampoos for dogs. Usually, flea and tick shampoos contain pyrethrins, a chemical used to kill fleas. Using medicated shampoos kill fleas and ticks that are already on the dog. I have made a beginners guide on how to get rid of fleas on dogs with shampoo. Another medicated treatment is the use of 2) Flea spray. This product is available in both aerosol and pump bottle forms. When using flea spray, it is best to choose one which contains adulticide and an insect growth regulator. …are killed. When using flea spray it is important to follow the instructions indicated in the product. Spraying should be done in a well-ventilated area so to avoid spraying your dog’s eyes. Aside from shampoos and spray, you may also use: 3) Flea powder. The same as using shampoos and sprays, it is important to follow the usage instructions indicated in the product. Usually, when using powder, you just need to apply a fine layer over your dog’s fur and let the powder sit on its coat. Using powder may need reapplication. Another option is the preparation of 4) Medicated dip. Dips and rinses are appropriately applied after the flea infestation has started. …of your dogs. Medicated dips usually contain chemicals such as pyrethrins, permethrins, and organophosphates. Putting a flea collar on your dog’s neck will kill fleas currently on the dog and preventing others from latching on. You may also remove the tick from your pets manually. Pet MD has the following guide on How to Remove a Tick from Your Pet. 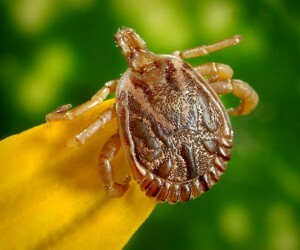 It suggests that since ticks can transmit deadly diseases to a pet within 24 hours of a bite, swift removal is the key. What is the best way to remove a tick from your dog? Use gloves for protection; Ticks can seep into human’s bloodstream through breaks in the skin. Keep your pet calm and steady; Avoid any unusual poking or prodding so that your dog would not be nervous and will stay calm. Take a pair of tweezers and grab hold of the tick. Do this carefully to avoid pinching on your dog’s skin. Pull out the tick; Do this by using steady pressure and straight motion. Avoid twisting the tick it may cause the tick’s mouthparts behind. Also, be careful not to squeeze or crush the tick, since its fluids may contain infectious material. Kill the tick; to do this, place it in a container of rubbing alcohol. Disinfect the bite site; Use antiseptic spray or wipes to disinfect the bite site and keep an eye on it for signs of infection. Reward your pet; after removing the tick from your dog, praise your pet for being good. Aside from these ways of killing and removing the tick from your dog, there are other ways of killing the ticks or fleas. Flea pills or oral flea medications are 11.5% more effective compared to topical treatments. Choosing flea pills for your dog provide you convenience and all-in-one protection. What are the advantages of using flea pills for dogs? First, on the convenience, flea pills, compared to topical treatments are easier to administer and will avoid a sticky mess. This may be available in either a beef-flavored tablet or soft chews. Your pets may just consider these medications like treats, making it easy to give them their monthly dose of flea prevention. With just a pill, it will prevent other harmful parasites. In choosing an oral flea medication, you should take into consideration your pet’s lifestyle and what you want to protect the most. For your option of dog flea medicine, you could consider NexGard. It kills both fleas and ticks. These oral flea pills may require the prescription of the veterinarian so make sure to discuss this with your pet’s doctor. Other flea pills are Trifexis, Sentinel, Sentinel Spectrum and Bravecto. In choosing flea shampoo for dogs, you may choose between the commercial or home-made/natural shampoo. 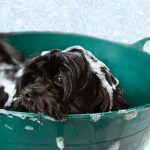 Comparing the two, commercial flea shampoos may be dangerous to your dog as it can lead to overdose. The pores of the skin of your dog absorb the chemical in the shampoo. Too much use of pyrethrin, which is an active ingredient of commercial flea shampoos may give a bad effect to your dog. Common signs of pyrethrin poisoning are drooling, excited behavior, lethargy, seizures, vomiting, and wheezing. First is repelling; there is a type of collar which emits a gas that repels pests. Another way is treating. With the latter function, seeps into the fat layer on the dog’s skin or active ingredients that spread using the dog’s natural skin oils. When using the collar for repelling, a parasite must bite the dog for the insecticide to kill them. 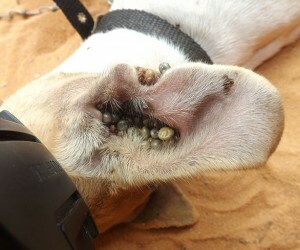 The collar which gives the effect of treatment emits active ingredients that kill fleas and ticks on contact before they bite. Some types of collars can just serve either of the purposes, though both can repel and treat parasites. As already mentioned, we always have the option to go natural, like in preparing home-made flea shampoo for dogs. For tick repellant, let us also consider using natural ingredients like essential oils. Essential oils like Palo Santo, Peppermint, Cinnamon Bark, Oregano, thyme, and Purification are your choices. 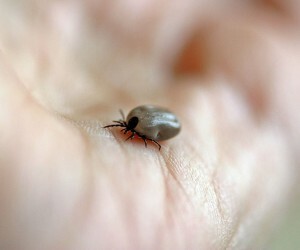 For proper tick removal, apply a drop of oil directly on the tick and wait for the tick to release its grip. If the tick is in hard to reach part, you can place the oil on a cotton swab and swab the tick. We want to treat our dogs for flea infestation because we want them to be healthy, and in doing so, we should always think of what’s best for them such that we can assure them that we gave them the best flea protection for dogs. 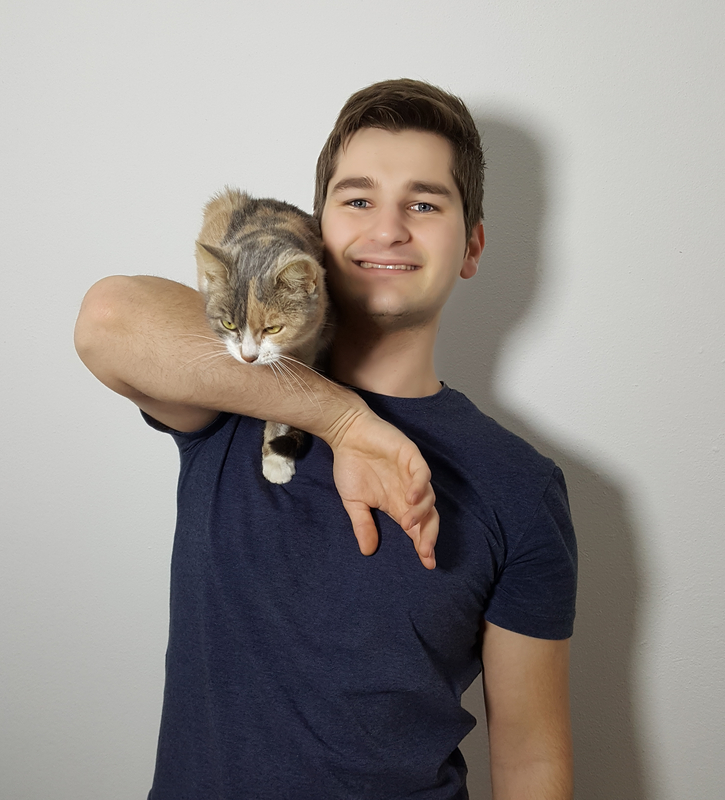 For flea control in the indoor environment, it involves mechanically removing all stages of the fleas, killing any remaining adults and preventing immature forms from developing. Controlling flea in the outdoor environment, on the other hand, involves eliminating the habitat in the yard and kennel areas where fleas are most like to occur. The favorite spots of fleas are areas which are moist, warm, shady and there is organic debris. Organic debris like leaves, straw, grass clippings should be destroyed. Removing fleas from pets include the use of flea control products, which includes once-a-month topical products, sprays dips, shampoos, collars, powders, orals, and injectable products. It is important that all of the fleas in your home have died so that there would be no infestation that may occur anymore. As we always say, prevention is better than cure. Prevention can be done through the use of preventative medications. For natural preventative flea remedies, you may try using brewer’s yeast rather than using harsher chemical remedies. Another preventative treatment is the application of a monthly topical medication. You may also feed your dog a monthly flea tablet. With any of these preventative medication options, it is important to consult your veterinarian first so as to discuss to you the dosage that you should give your dogs. With so many ways to prevent and control fleas, it’s up to you which method to consider the best flea treatment, just always remember, your dog deserves what’s best!